Just as a tandem bicycle accommodates more than one rider, tandem seating accommodates more than one sitter. Often you will see the terms “tandem seating” and “ganged seating” used interchangeably, but we consider them to be different. We consider “tandem seating” to be have shared supports and features, such as legs and arms. Often the seats — and, sometimes, low side tables — rest on strong beam supports that occasionally cantilever, creating floor space under the furniture. 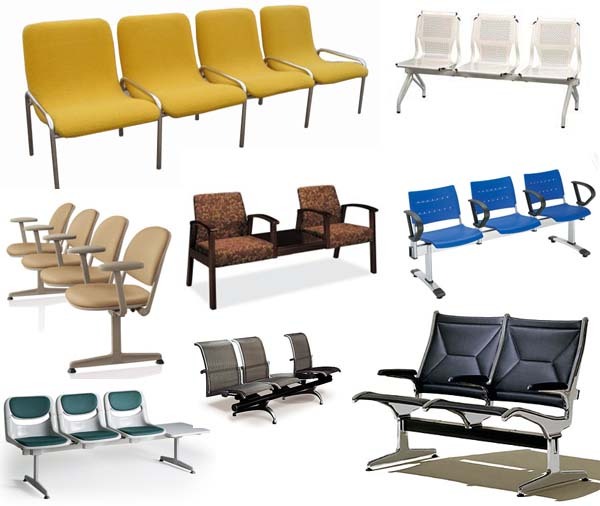 For this reason, tandem seating is ideal for application where many people assemble, such as airports and other transportation hubs.